Description: She wanted to be a singer in a time when women weren’t allowed to sing. Pretending to be a man was the only logical solution. Jin Chae Sun (Bae Su Ji “Suzy” from Uncontrollably Fond) is an orphan raised by professional entertainers in the Joseon Dynasty. She loves pansori, the musical storytelling art popular in the royal courts. Jin Chae Sun desperately wants to be a singer. However, women are not allowed to sing or perform on stage. Undeterred, Jin Chae Sun eavesdrops on lessons and practices in secret. She asks famed pansori teacher Shin Jae Hyo (Ryu Seung Ryong from The Admiral and The Recipe) to train her, but he refuses to mentor a woman, even though he realizes she can really sing. Still unwilling to give up, Jin Chae Sun pretends to be a man, and is rejected again. When the king’s father holds a competition for the best musical storyteller, Shin Jae Hyo knows that the only one who can win it is Jin Chae Sun. He agrees to teach her. If it is discovered she is a woman, they will both be killed. As they navigate the perils of lying to the royal family, both Jin Chae Sun and Shin Jae Hyo grow closer to each other and realize that art, like love, knows no gender. 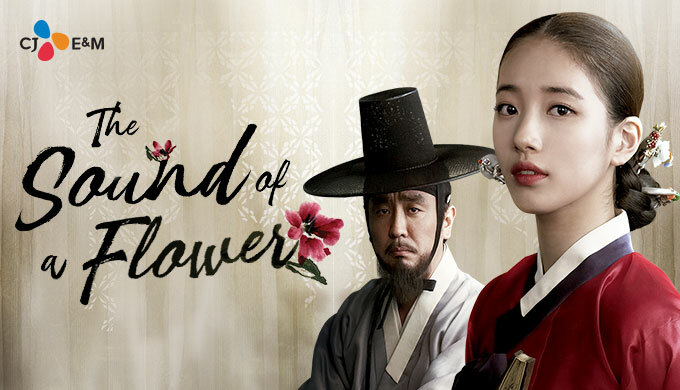 Based on the real life story of the first professional female pansori singer, Sound of a Flower is written and directed by Lee Jong Pil.